WordPress is a go-to platform for many websites and blogs with over 74,000,000 sites currently running WordPress. With this awesome platform there can be certain vulnerabilities that may leave you exposed to serious consequences by hackers and other malicious predators if you do not keep your site maintained properly. The best way to protect your site is to always keep it up-to-date. Updating plugins and monitoring your site can be time consuming. Now you can have peace of mind knowing that your WordPress site is being maintained on a regular basis. We’ve been working with WordPress for over five years now and we would love to help take this task off of your never ending to-do list. 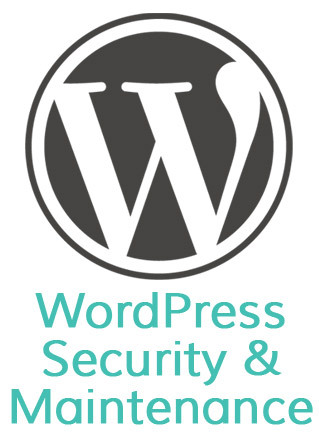 We offer two WordPress Security & Maintenance packages: Weekly or Monthly. Both packages offer the exact same services just on different schedules depending on your needs. Take our quick quiz to the right to see if your site is protected. Is Your WordPress Website Protected? Answer yes or no to the following questions to find out if your WordPress website is protected. 1. Do you backup your site regularly? 2. Is your website updated to the latest version of WordPress? 3. Are your plugins all up-to-date? 4. Do you know what to do in the event of a major website catastrophe? Such as getting hacked? 5. Do you have a spam plugin installed and configured properly? 6. Are you the only one with a WordPress admin account? If you answered no to any of these questions then your site is unprotected. Contact me today for a free consultation to see if this service is right for you.